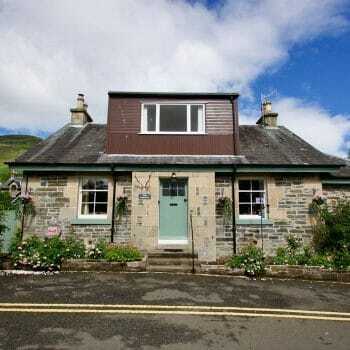 Find holiday accommodation in the Highland Perthshire of Killin nearby Loch Tay. Visit the Falls of Dochart, the Old Watermill in Killin, the local golf club and walks. Enjoy Loch Tay safaris, fishing and sailing, or explore the Ben Lawers Mountain Reserve. At the other end of the loch you will find the quiet village of Kenmore and the historic Crannog Centre. Killin (derived from the Gaelic for ‘White Church’) is a small village situated to the west of Loch Tay, with lots of historic charm including an old watermill (now converted into a gallery for local arts and crafts), 19th century longhouse, Finlarig castle ruins and an ancient stone circle. At the western end lie the Falls of Dochart where the waters of the Lochy and Dochart rush down beneath the narrow multi-arch bridge. The village hosts several events throughout the year, including Highland Games and Agricultural Show. Killin’s long history was written by two powerful clans: the MacNabs, whose historic seat Kinneil House can be seen on entering the village from the west, and the Campbells of Breadalbane; the ruins of their stronghold at Finlarig Castle can be seen to the north of the village. In more recent times the town was host to a local linen industry; flax was grown nearby and spun at small mills, or woven at home by residents. As well as a long and eventful history, the local area also boasts some great attractions to make your stay enjoyable. 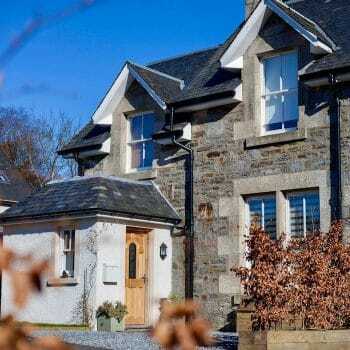 From fishing on Loch Tay, golfing at the Killin golf club, to extreme sports such as kayaking and canyoning, there is something to suit all those wishing for a magnificent holiday on the road to the Scottish Highlands. 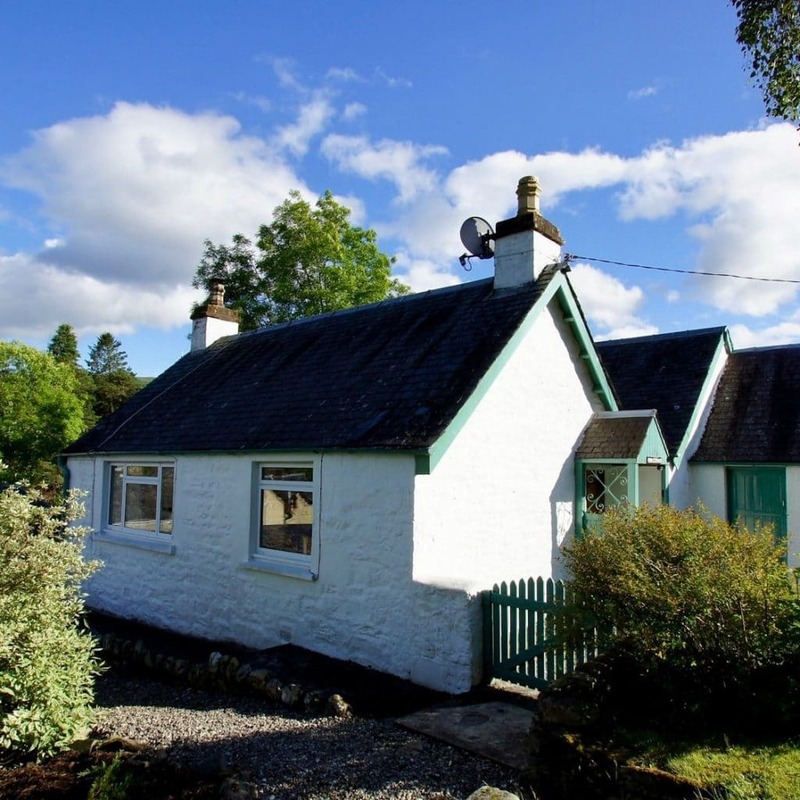 At the end of Loch Tay, you will find the charming village of Kenmore, the Old Yew Tree at Fortingall (one of the oldest trees in Europe), and the Crannog Centre, where you can experience life in these ancient loch dwellings. Did you know? The abandoned Tomnadashan copper mine overlooking the village is home to the Killer Rabbit of Caerbannog, popularized in the film Monty Python and the Holy Grail. Breadalbane Folklore Centre – St. Fillans Mill, built in 1840, used to be at the centre of village life. The folklore centre is now closed, but you can still see the old waterwheel which used to power the mill. Falls of Dochart – In the rainy season the water rushing over the rocks and under the arched bridge is a sight to behold. Can be seen from the bridge coming into town. Finlarig Castle Ruins – Dating back to 1629 and built by ‘Black’ Duncan Campbell, the remains of Finlarig Castle can still be seen in Killin. Finlarig Castle is an early 17th-century castle standing on a mound on a peninsula between the River Lochay and Loch Tay, roughly 1 kilometre north of Killin in highland Perthshire, Scotland. Killin Golf Club – The local 9-hole course offers fantastic views while you enjoy a quick round. Loch Tay fish’n’trips – Local company offering boat hire and permits for fishing on the loch. Moirlanich Longhouse – Offering an look at rural life in the late 19th and early 20th century, the longhouse is worth a visit for those interested in Scottish history. Stone Circle – The stone circle can be found a short walk from the town of Killin.